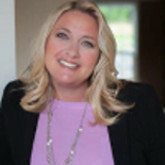 Brandee Daly is the CEO and Founder of C2S Consulting Group. She holds a Bachelors degree in Systems Engineering and a Masters in Business Administration, as well as over 25 years' experience in the commercial, government and intelligence communities. She has spent the last several years at Amazon building the C2S business and Marketplace in the government space. She is looking forward to leading the migration to the cloud and moving the market to a new and exciting place.